French Presses work equally well for coffee or tea. Place ground coffee or loose leaf tea in the carafe, add hot water, and set the plunger partially down. When ready, fully depress the plunger to stop infusion. The brew is ready to pour without removing the top or plunger. Use a French Press cozy to maintain temperature while steeping. Traditional 34 oz. 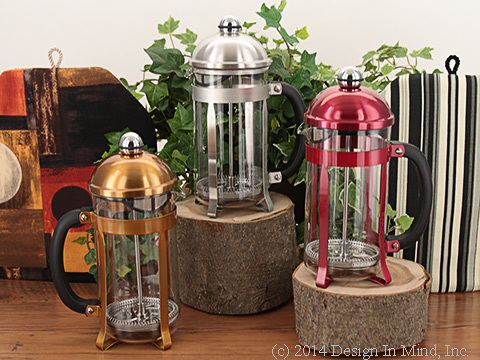 (1 L) French press includes a replaceable pyrex glass body with matte stainless steel trim. The Maximus design allows the user to close the filter to stop brewing, and includes a fine mesh pouring filter as well. Made in China. 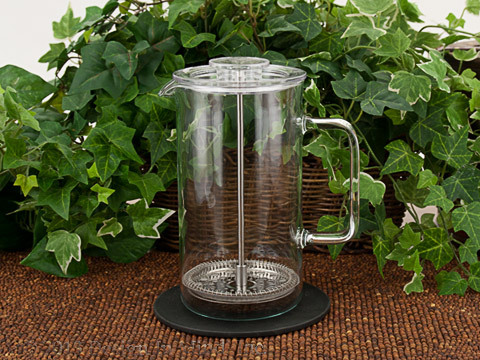 Modern coffee press includes a borosilicate glass body with stainless steel plunger and polycarbonate top. Soft coaster included. Cadmium and lead free. Dishwasher safe, although hand washing is recommended to preserve the bright finish. Made in the Czech Republic. 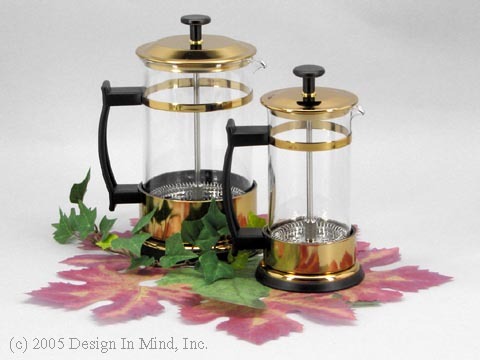 Award winning French press design features a replaceable pyrex glass body with gold finished stainless steel trim. 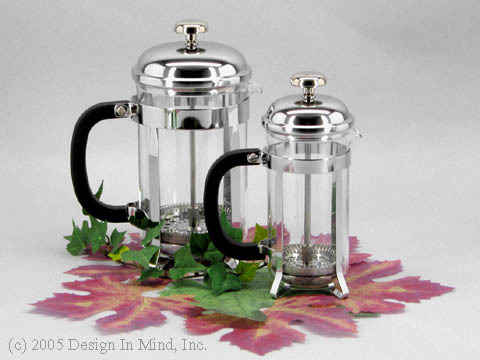 Traditional French presses include a replaceable pyrex glass body with bright stainless steel trim.